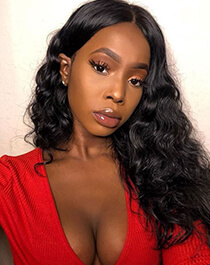 Do you want to get unique and fabulous look every day through trying on diverse weave hairstyles? 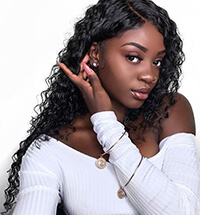 Dsoar Hair has prepared all kinds of pretty weave hair for you, such as curly weave hair, malaysian weave hair, brazilian weave hair and natural weave hair, and so on. Just imagine what it would be like if the same person wear the different weave hairstyle. 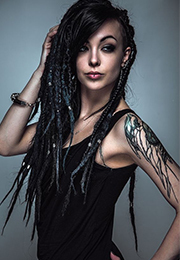 Follow DSoar Hair hairstyle model Anne to find different selves. Model Anne likes the curly weave hair best. Perhaps this weave hairstyle showed the enthusiasm and fanaticism like most American women’s character. For this hair weave, its wave is is bigger than the curly hair. 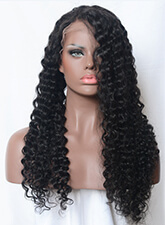 It is not a bad choice for those women who like deep wave. This weave hairstyle looks more natural, thus named “natural wave”. I think this weave hairstyle is the most beautiful in my opinion. It seems like the chief actress’s hairstyle in the movie”the High School Musical”. This weave hairstyle has a mild volume, just adding a little wave depending on the straight hair. Well, girls, which weave hair do you like best? Can't you wait to add these pretty weave hair to your shopping cart?